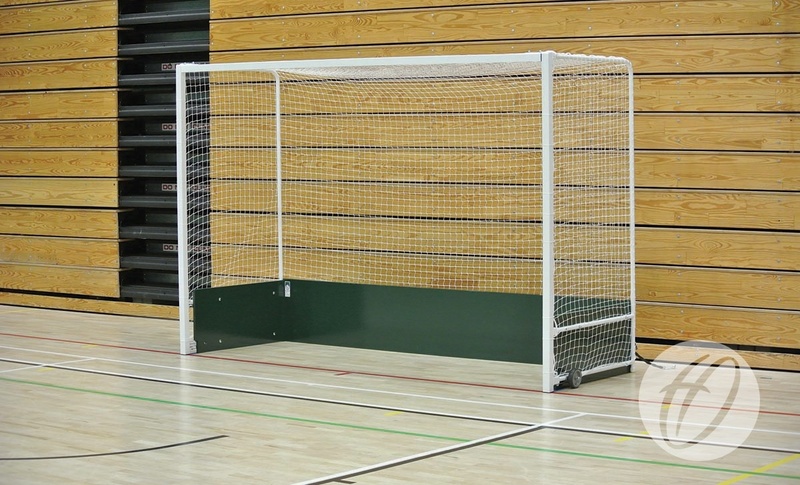 Folding wheelaway goal, simply lift out the backboard, fold the net supports and the goal is ready to be moved by two adults. 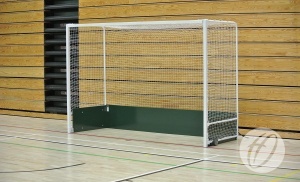 Available with regulation 460mm backboards. Folding wheelaway sideframe with wheels. Size: 3m x 2m x 1m Run/Back. Uprights & Crossbars made from 50mm square steel. 460mm high x 18mm wooden backboards.